Team Van Oord (TVO) has commenced work on two schemes with a combined value of £4m to provide improved protection against flooding for two communities in the Midlands. The contract for the works – at Selly Park in Birmingham and the Staffordshire town of Rugeley – has been awarded to TVO by the Environment Agency. The area of Selly Park has a history of flooding from the River Rea, the Bourn Brook and surface water, most recently in June 2016 when residents were affected by very heavy rainfall. In July, the Environment Agency invited Selly Park residents and businesses to attend two drop-in events to discuss the recent flooding in the area, and provide information about how they are working in partnership with TVO to help reduce the risk of flooding in the future. The Selly Park South flood defence scheme will reduce the risk of flooding to 270 residential properties. The scheme involves the construction of an embankment that will prevent water from overtopping the left bank of the river Rea upstream of Dogpool Lane bridge, and creation of an area to store water during storm events in the green open space on the right bank upstream of the bridge. Other works include realignment of a cycle path over the proposed flood embankment to Disability Discrimination Act and cycle way standards, and replanting trees and vegetation removed during works and pre-construction works. 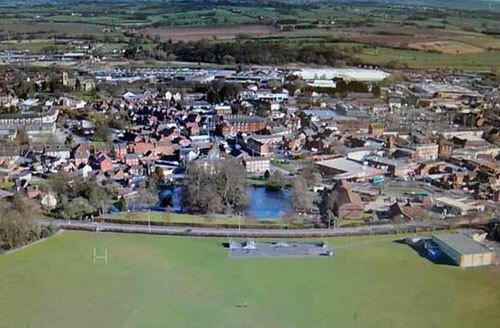 The Rugeley flood risk management scheme will help to reduce risk to more than 114 residential properties and 157 commercial properties and also forms an integral part of the local council’s plans to regenerate parts of the town centre. The proposal includes constructing an embankment on Hagley playing fields to hold water from Rising Brook during a flood. The scheme is expected to lead to the development of homes and businesses and 330 new or safeguarded jobs. Mark Winnington, Staffordshire County Council’s cabinet member for economy, environment and transport, told the Cannock Mercury: “The flood defence scheme is vital for Rugeley’s future regeneration and growth. Development that has been held back because of flood risk will be now able to happen. Special challenges for the onsite team at Rugeley include mitigating against harm to White Clawed Crayfish and replacing a section of South Staffs Water pressurised water main which will pass beneath the footprint of the new embankment dam. Work on both projects commenced in mid-September and completion is scheduled for March 2017. Eddie Quinn, Director of TVO said: “We were awarded this contract on the basis of our innovative approach which included ‘silent’ piling works at Selly Park, and the measures we proposed to reduce costs, environmental and health and safety risks.